Ships tomorrow if you order in the next 21 hours 56 minutes. You want the best for your child, and understandably so. Even the healthiest of daily diets may leave nutritional gaps that can have negative effect on your child's overall health. If you've been looking for a great-tasting and convenient way to fill those gaps, Solaray offers the ideal multivitamin for kids. 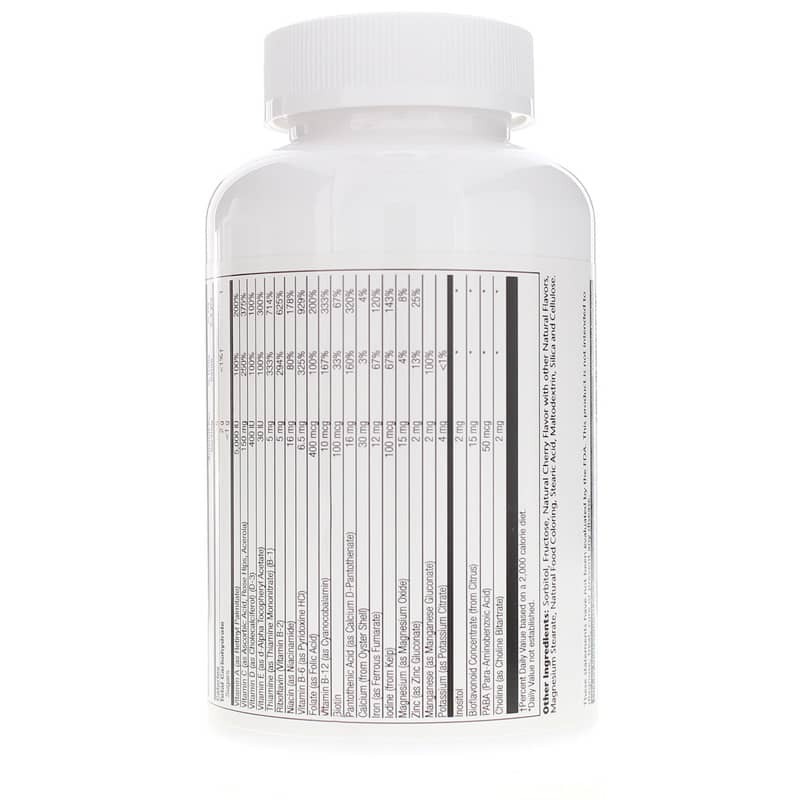 Children's Chewable Vitamins & Minerals is a broad-spectrum multivitamin and minerals supplement for kids that comes in a convenient and delicious chewable wafer. Make the right choice to support your child's health the natural way. Give Children's Chewable Vitamins & Minerals from Solaray a try today, and see the difference they can make for your child. Order now! 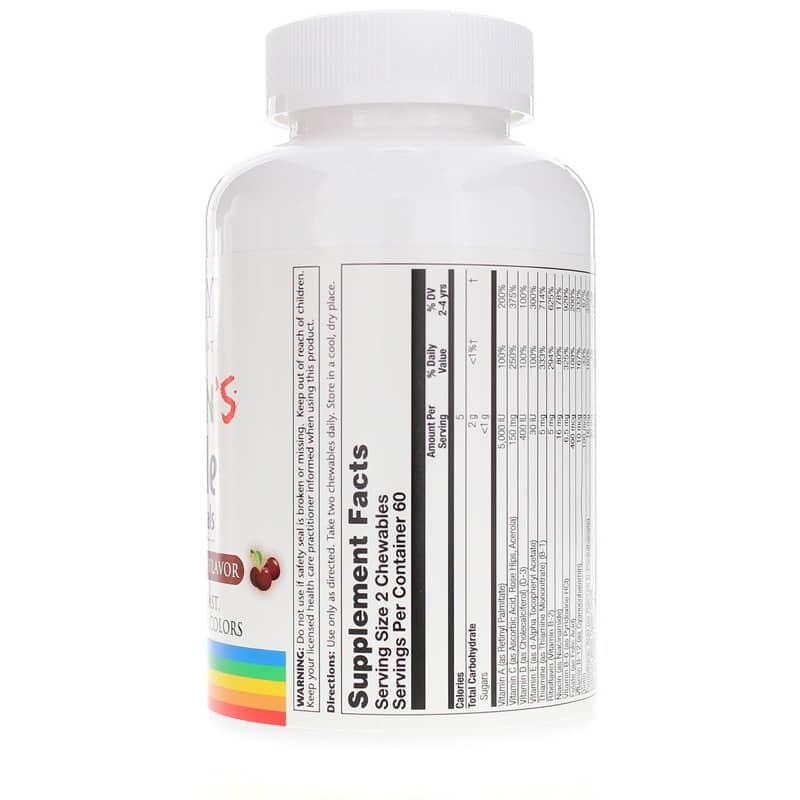 Other Ingredients: sorbitol, fructose, natural cherry flavoring with other natural flavors, magnesium stearate, natural food coloring, stearic acid, maltodextrin, silica and cellulose. Contains NO: yeast, artificial flavors or artificial colors. Children: Use only as directed. Take 2 chewables daily. Use only as directed. Keep your licensed healthcare practitioner informed when using this product. Accidental overdose of iron containing products is a leading cause of fatal poisoning in children under 6. Keep this product out of the reach of children. In case of accidental overdose, call a doctor or poison control center immediately. Kids enjoy flavor. No allergic reactions. Have 2 kids with food allergies. Does not seem to have any known "negative" ingredients. This was my first order with Natural Healthy Concepts and I was very pleased. I had tried the Soloray Chewable Vitamins previously and found them at NHC for a great price! The vitamins were excellent quality and they were delivered ahead of schedule with a handwritten note thanking me for my order. I highly recommend the Soloray Vitamins and I especially recommend Natural Healthy Concepts for excellent price and service. I love how they taste good and the price is amazing for how much you get! And also knowing they are pure. Makes me feel good about giving it I my children! 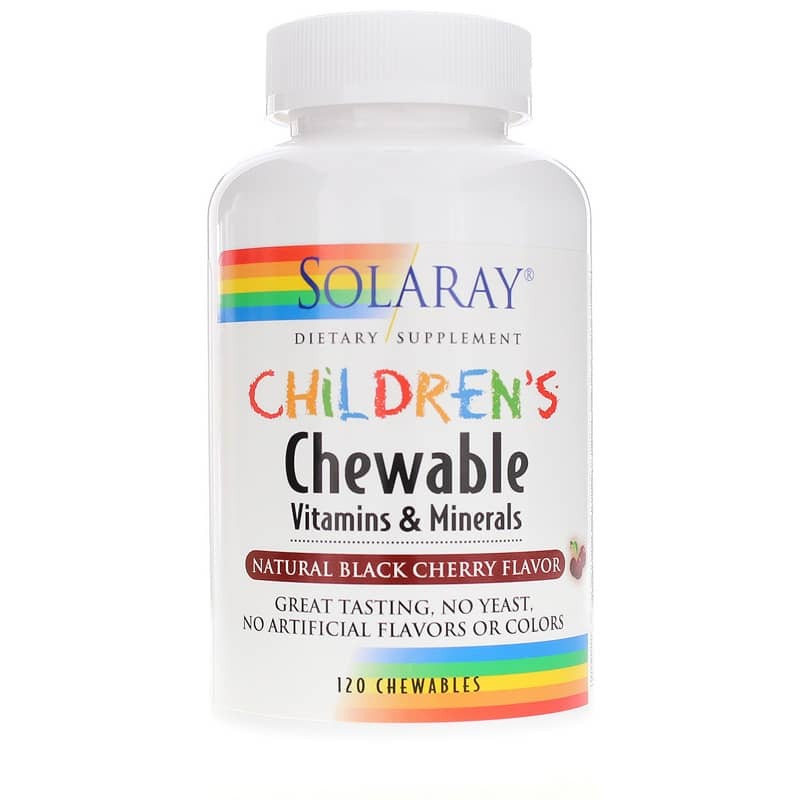 Solaray brand children's chewable multi vitamin. Excellent product: delicious flavor; will not stick in the throat when swallowed; low dosages do not seem to be eliminated immediately in the urine (so stay in the body longer); children love them. But other than that my daughter would take them. I guess you could mix them in with food since they are chewables to help with taste. Good product just taste is a concern.